Xiaomi is all set to launch its latest flagship device, the Mi Mix 2S in China on March 27. There have been many speculations about the design of the upcoming device. Now, images showing the Xiaomi brand ambassador Kris Wu holding the Mi MIX 2S have been officially shared on the company’s Weibo account along with the special invitations for the March 27 launch event. Earlier, there have been a lot of leaks about the design of the Mi MIX 2S suggesting it would feature notch display. However, the official images that have been released on Xiaomi‘s Weibo confirm that it will not be arriving with notch display, rather it will be featuring a similar design as its predecessor, the Mi Mix 2. However, this time the company has changed the position the of front camera. The official images show that the Mi MIX 2S will not be very different from its predecessor. The images completely deny the rumors that claimed that Mi MIX 2S will come with a notch display. The Chinese actor has tactfully covered the bottom bezel of the phone in all the images, so, the exact placement of the selfie camera cannot be judged, but it could not be placed at the bottom. The major change in the MI MIX 2S will be the presence of the Snapdragon 845 chipset. The other USP of the phone could be its dual rear cameras with AI features that will also support slow-motion video shooting in Full HD quality. If we talk about other features, the phone may feature 8 GB of RAM and a storage of 256 GB. The phone could include wireless charging enabled 3,400mAh battery. It might be running MIUI 9 based on Android 8.0 Oreo OS. 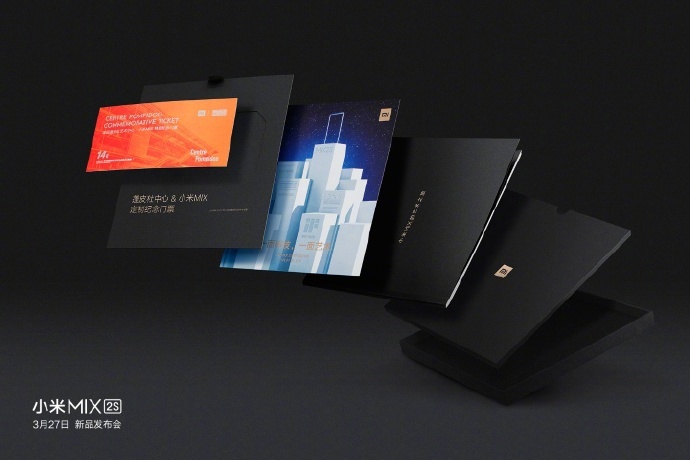 As mentioned, the images showing the invitation for the launch event of the Mi Mix 2S have been released on the official Weibo account. The Mi Mix 2S launch will take place in Shanghai on March 27.